Vision Vapros KinTa Ceramic Coil is specially designed for KinTa tank. 0.3ohm coil is available, which supports 30W - 80W wattage. 5pcs Vision Vapros KinTa Ceramic Coil is specially designed for KinTa tank. 0.3ohm coil is available, which supports 30W - 80W wattage. 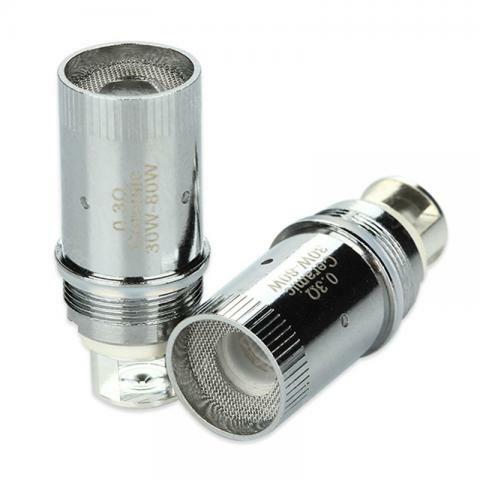 • It's for Vision Vapros KinTa atomizer. Vision Vapros KinTa Ceramic Coil is specially designed for KinTa tank. 0.3ohm coil is available. With a 5pcs/pack.